In anticipation of the Bard Summerscape production of Emmanuel Chabrier's outstanding comic opera Le Roi Malgré Lui directed by Opera Lively interviewee Thaddeus Strassberger and with the title role sung by OL interviewee Liam Bonner, we'll be examining in detail this work that is still mostly neglected by opera houses and recording labels, in spite of being considered by scholars as Chabrier's masterpiece, and being wildly admired by other composers such as Ravel and Stravinsky. Our brand new (as of today) partners Piedmont Opera and the A.J. Fletcher Opera Institute of the University of North Carolina School of the Arts joint-produced Robert Ward's superb Pulitzer Prize-winning opera The Crucible. It is fitting that Opera Lively publishes today a review, day one of this partnership. We had already been working in close collaboration with these two organizations without being officially called partners, therefore we have already published some information about the production, [here] with a comprehensive article about the opera and the composer's life and other works, and [here] with a delightful interview with the composer. This production was meant to celebrate still living (at 94 years of age!) Robert Ward, who was for several years the Chancellor of the UNCSA. 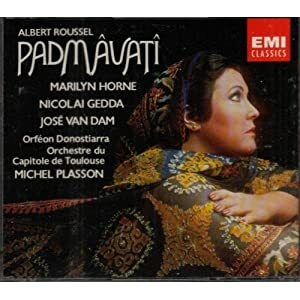 Padmavati, by the great but sadly under-appreciated French composer Albert Roussel (1869-1937), is in my opinion one of the greatest of all French operas. Yet it has had puzzlingly few productions since its premiere in Paris in 1923. It is described by the composer as an opera/ballet in the French manner dating back to the 17th and 18th century tradition of operas which featured extensive ballet sequences. I wrote these posts based on information I obtained from several web sites as well as from the libretto that accompanied the German language recording of this opera I purchased in the 1980s. As part of Opera Lively's support for regional opera companies and educational institutions, we'll be providing some writings on American contemporary composer Robert Ward and his most famous opera, The Crucible. This is in anticipation of Piedmont Opera's upcoming production of it on March 16 at 8 PM, 18 at 2 PM, and 20 at , 2012, at the Stevens Center, a magnificently restored neoclassical theater with 1,364 seats. It is located on 405 West Fourth Street in downtown Winston-Salem, NC 27101. Don't miss our other article on this topic, an exclusive long interview with Mr. Robert Ward; click [here] to read it. If you're visiting this article just to read this material, do consider exploring our other content in our Home and Forum pages, and becoming a member (it's for free). Mr. Ward, still alive, sharp, and witty in his mid-nineties, will attend the performance, and has been active in giving advice to the crew and the artists. A dinner in his honor (for which tickets are also available) will occur on March 16 at 5:30 PM, at the Embassy Suites in Winston-Salem. For tickets or information, call 336-725-7101, or visit Piedmont Opera's web site. It is a joint production between Piedmont Opera and the A. J. Fletcher Opera Institute of the University of North Carolina School of the Arts. For the five winter season between December 1729 and June 1734 Handel, assisted by the impresario J. J. Heidegger, was effectively in sole charge of Italian opera at the King’s Theatre in London’s Haymarket. 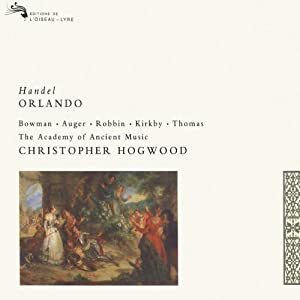 In the previous decade opera had been produced by the Royal Academy of Music, a group of noblemen and landed gentry who financed the operation in company with other subscribers; but after the collapse of the Academy in 1728 the directors ceded their managerial rights to Handel and Heidegger for five years. The new arrangement allowed the privilege – rare for a composer at this time – of producing operas to some extent according to his own taste. Thus the series of serious, heroic operas favoured by the Academy was soon broadened by the production in February 1730 of Partenope, a setting of a highly amusing libretto by Stampiglia which had been considered by the Academy in 1726, but rejected apparently on grounds of its “depravity”. Pasticcios and adaptations of operas by leading Italian composers also appeared, and in the spring of 1732 came the major innovation of English oratorio in the shape of a revised version of Esther, shortly followed by a new version of Acis and Galatea as a serenata, mixing music from Handel’s earlier Italian and English settings of the story. Handel had good cast casts for these productions, led from the autumn of 1730 by the great and popular castrato Senesino (Francesco Bernadi), who had also played the major roles in the earlier Academy operas. Poor Bizet, he never saw the astounding success of his Carmen, which premièred in March 1875 and was initially very poorly received by the critics and public. Obsessed by what he believed to be his failure as an opera composer and under severe stress, Bizet suffered two heart attacks in rapid succession, and died in three months. At the time of his premature death at the age of 36, the consensus was that he was a concert music composer who shouldn't have messed with opera (in spite of the fact that in his short life he composed 30 of them, although only 6 survived in some sort of performing version). Here are some of the adjectives thrown at Carmen by critics right after the première: "dull," "obscure," "vulgar," "undramatic," "unoriginal," "suffocating," and "contemptible." The following is partly copy & paste from the internet & partly my own words. It's the story surrounding this opera, as much as the sparkling music, which made such an impression on me. 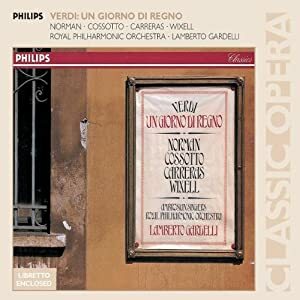 Verdi completed his first opera Oberto, Conte di San Bonifacio in 1839. This was so successful that impresario Bartolomeo Merelli gave Verdi a contract for three more operas for La Scala. The first of these was to be an opera buffa. 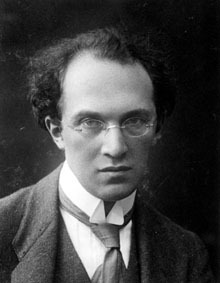 Though Franz Schreker's reputation has improved significantly during those last years, he is still one relative unknown, while his operas, in number and quality, show he was indeed a major composer. He was the son of a Jewish father, a photographer in the Austrian court, and a German mother, that belonged to an aristocratic, but impoverished, family. His father died when Franz was only ten years old, and the older of four siblings. Her mother was really hard pressed to raise the children. The great musical talent of the young Franz was recognized early, however, and he was offered a scholarship at the Vienna conservatory while still only fourteen. He completed there a career as violinist, conductor and composer. In 1912 his first great opera, Der Ferne Klang (The distant sound), was premiered in Frankfurt. It was a success, that coupled with a Chair of Composition in Vienna, solidly established Schreker in the German musical world. He was part of the lively Viennese cultural life, and counted Schönberg and Berg among his friends. In the 19th century, wrecking was a fairly common practice in poor Cornish villages on the rugged Atlantic coast. The inhabitants would plunder ships that crashed on the rocks for goods that they could use or sell, often murdering crew members. Villagers sometimes deliberately caused passing ships to wreck on their shores, either by extinguishing the beacons meant to guide ships safely through dangerous waters, or by setting “false lights” to lure the vessels to destruction.